D.C.: Georgetown--Entrance, 1868. Grafton-Tyler Double House, 1312-1314 30th NW. 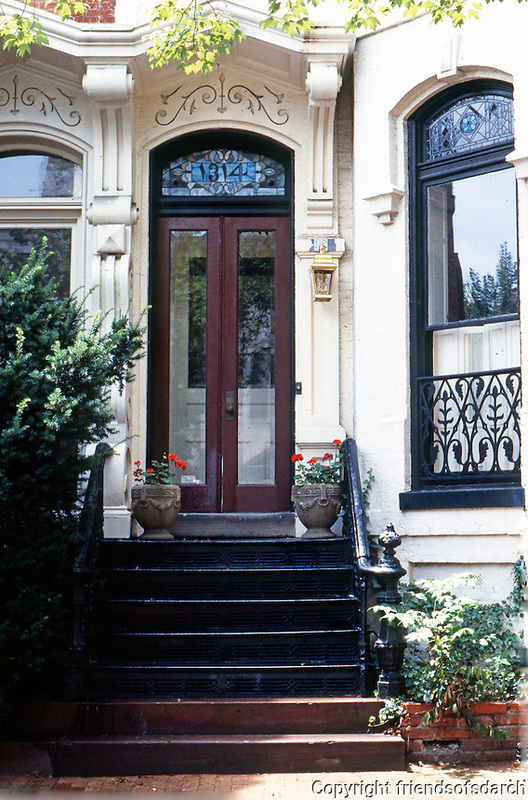 Note: 8 ft. high window, elaborate hood & capstone, cast-iron stoop railings. Photo '85. Georgetown, Grafton-Tyler duplex, hood and capstone, cast-iron stoop railings.